Zimbra Collaboration Suite (ZCS) is one of the popular open source email. 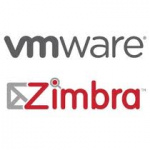 It was created by Zimbra, Inc. Zimbra has released new version of ZCS 8.0.4. This new version consist of many new features and enhancements. 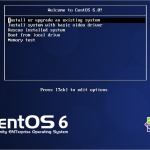 This post describes the steps to upgrade existing ZCS 8.0.3 to ZCS 8.0.4 on CentOS 6.4 64 bit. I would recommend to to review the known issues that had been fixed before installing or upgrading. -Private events within shared calendars no longer show the organizer’s name. -Fixed the issue which caused stat-charts to not display properly. -When running zmproxypurge, all aliases are purged. -Support for Real-time Blackhole List (RBL) blocking using zimbraMtaRestrictionRBLs and attributes reject_rhsbl_client, reject_rhsbl_reverse_client, and reject_rhsbl_sender. -Fixed the issue which caused an error when using spell check if language preference is set to Japanese. -Fixed the issue which caused an error in Javac compilation for Java Server Pages (JSP). -Removed insecure SSL ciphers from default proxy configuration. Existing sites are recommended to review their enabled ciphers and set zimbraReverseProxySSLCiphers to RC4:HIGH:!aNULL:!MD5:!kEDH:!AD:!SSLv2 for maximum security. Note that some clients might need to be reconfigured if they were previously using a cipher which is now disabled. -Fixed the issue which caused a Language field to display as blank when selecting login options and only one language is available. The option now displays as text and not as a dropdown menu. -zmblobchk no longer reports missing blobs for appointments with multiple revisions. Changes work even if multiple revisions point to the same file blob. -Fixed the issue which caused autodiscovery to fail on iOS devices, due to iOS sending the request to /Autodiscover/ Autodiscover.xml rather than /autodiscover/ autodiscover.xml. -The administration console now has the option to automatically log users out when their Zimbra Web Client tab/window/browser is closed. This forces the user to log in to their next session. -New attribute zimbraMtaFallbackRelayHost is located in the administration console at Configure > Global Settings > MTA > Network and is shown as Relay MTA for external delivery. -The Distribution Lists folder is displayed in the list of address book folders only if the attribute is set to true. The default is True, but customers such as service providers might select to set this to False to turn this feature off. -The administration console supports DomainKeys Identified Mail (DKIM) as a service. Any changes to the services on the Servers page in the administration console requires a restart of the server. -Resolved issue which caused deadlocks in SyncState.java. 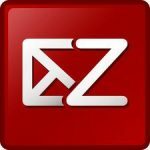 ZCS upgrade from 8.0.3 to 8.0.4 will be performed. Updating global config and COS's with attributes introduced after 8.0.3_GA...done. Release 8.0.4_GA_5737.RHEL6_64_20130524120036 RHEL6_64 FOSS edition.